Regardless of the style and design of your home, custom metal fabrication offers both aesthetic and functional benefits. Let D & M Welding Co help you craft gorgeous custom welded pieces to enhance and protect your family’s home. 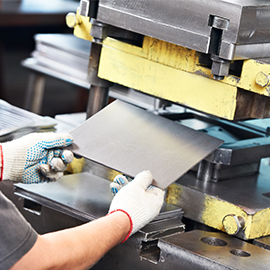 Rely on us for both custom fabrication and welding repairs to ensure not only beautiful aesthetics but also lasting performance and reliability from your metal pieces. Residential welding fabrication can entail many different types of service projects — from pipe welding involved in plumbing to more creative projects that impart a particular type of precision welding. 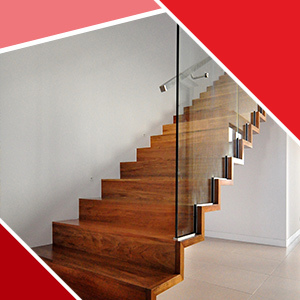 Elevate your residential space with custom fabrication from D & M Welding! When you partner with us, you’ll find a high level of precision welding skills combined with refined skill that spares no small detail in your residential projects. We’d love to craft specialized countertops, handrails, stairwells, and kitchen oven hoods or anything you can dream of! Why Choose D & M Welding? At D & M Welding, there is no doubt we have the skills, leading expertise, and techniques in the welding industry. 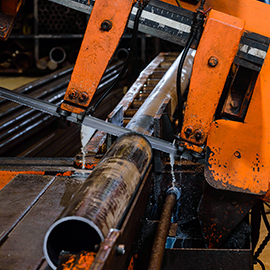 Our business is in its third generation as a family-owned and operated welding company. Our experience is met with customer care for our clients that is individual and personalized to provide exceptional service with a fast turnaround time. We have an eye for detail. When it comes to welding, oftentimes people believe that we’re just quickly moving from piece to piece and project to project. While our turnaround time is speedy, it doesn’t take away from the detail we like to provide our customers. Your home is an indoor space that represents you. It beckons rest and relaxation and an invitation for community and a gathering of friends and family — we don’t want to compromise this! Down to the perfect sizing of a handrail to how the countertops are angled, we are here for the details that make everything a little better! Not only can we craft unique features indoors, but we can help your outdoor spaces display more character! We work on fences, custom patio furniture, and everything in between. If you’ve been searching for a way better customize your home and display your unique design aesthetic, partnering with us for residential welding fabrication will get you great results.